Heran has filed a lawsuit against the Insurance Corporation of British Columbia (ICBC), and in that lawsuit he’s stated that the costs paid so far for the repair of the car, $790,000, which included shipping the car to Toronto for repair, are not adequate, and he’s demanding a total of $982,000 for the full cost of repair. Just for reference, and arbitrator set the value of the car at $696,061 in 2014. “18. The Plaintiff is a known collector of Ferrari automobiles, which he makes available for public display and appreciation. The notable absence of the Vehicle is a source of inquisitive inquiry that the Plaintiff finds unsettling and embarrassing. The show absence of the Vehicle is not a matter that the Plaintiff should have to repeatedly deal with on a public basis. True talk: I go through this every day, and it is no picnic. 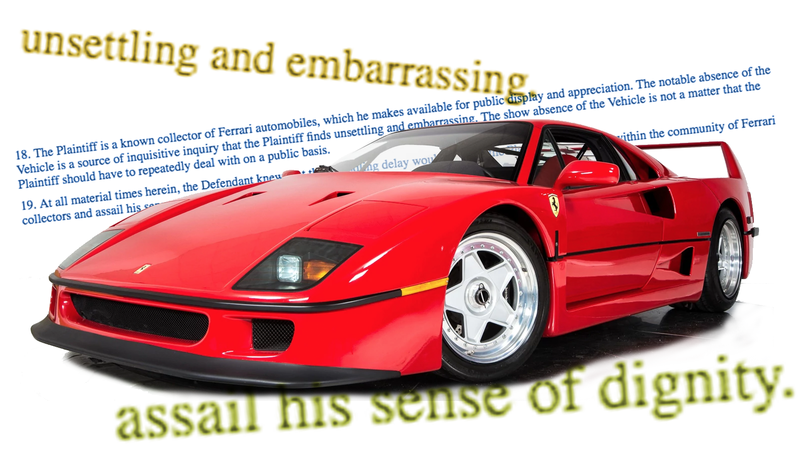 “ Second, I am striking paragraphs 18 and 19 in Part 1 of the ANOCC, which allege that as a result of ICBC’s breach of its implied duties of good faith and prompt performance, the plaintiff suffered embarrassment, an affront to his “sense of dignity” and harm to his reputation among other Ferrari owners. I find this to be both a “frivolous” allegation within the meaning of Rule 9-5 and harm that would not have been within the contemplation of parties to a contract of motor vehicle insurance: see Fidler v. Sun Life Assurance Co. of Canada, 2006 SCC 30 (CanLII), at paras. 44-5; Loric v. The Toronto-Dominion Bank, 2008 BCSC 478 (CanLII), at paras. 24-8. The judge does support other parts of Heran’s claim, specifically that the case was not necessarily handled in an expedient manner. The whole case has sparked controversy because the ICBC is a government-run and (at least partially) taxpayer-funded insurance company, and the case has prompted ICBC to charge higher premiums for “luxury vehicles,” and has brought up suggestions that private insurance companies would be a better fit in cases like this. 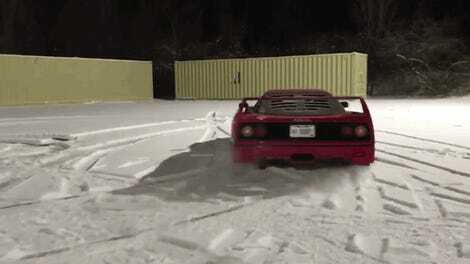 The real takeaway here, though, is the lesson that we should all take a moment to reflect on the fragility of a human’s sense of dignity, and appreciate the tragedy of how dignity can be so brutally assailed by the absence of a Ferrari F40. I hope none of you ever have to endure such a nightmare.